BMW Certified, CARFAX 1-Owner. NAV, Heated Seats, Smart Device Integration, Keyless Start, Alloy Wheels, Satellite Radio. KEY FEATURES INCLUDE Navigation, Heated Driver Seat Rear Spoiler, MP3 Player, iPod/MP3 Input, Onboard Communications System, Remote Trunk Release. BMW i3 with Mineral Grey w/ BMW i Blue exterior and Atelier European Dark Cloth interior features a Electric Motor with 170 HP at 4800 RPM*. EXPERTS ARE SAYING Edmunds.com explains You'll rarely engage the smooth, predictable-feeling brake pedal because substantial off-throttle regenerative braking handles most routine stops in a very engaging way.. PURCHASE WITH CONFIDENCE 24-Hour BMW Roadside Assistance, Comprehensive Inspection and Reconditioning, Unlimited Miles for 1-Year plus the balance of original new vehicle warranty (4-Year/50,000-Miles) MORE ABOUT US Come test drive it at BMW of Bridgeport - Connecticut's largest volume Certified Pre-Owned BMW Center. What's different in Bridgeport? We go above and beyond in Hospitality, Service and Reconditioning our Pre-Owned BMW's. Experience it for yourself. 5 Time and the only Connecticut winner of BMW ''Center of Excellence''. Look us up on DealerRater.com *Prices are inclusive of all incentives. CARFAX 1-Owner, BMW Certified. Heated Seats, CD Player, Power Liftgate, Dual Zone A/C, Keyless Start, All Wheel Drive, RUNFLAT TIRES , TRANSMISSION: 8-SPEED STEPTRONIC AUTO. COLD WEATHER PACKAGE, Turbo Charged, Alloy Wheels. KEY FEATURES INCLUDE All Wheel Drive, Power Liftgate, CD Player, Keyless Start, Dual Zone A/C Rear Spoiler, MP3 Player, iPod/MP3 Input, Onboard Communications System. OPTION PACKAGES COLD WEATHER PACKAGE Heated Front Seats, TRANSMISSION: 8-SPEED STEPTRONIC AUTOMATIC sport and manual shift modes and Adaptive Transmission Control (ATC) (STD), RUNFLAT TIRES. BMW xDrive28i with Mineral Grey Metallic exterior and Black SensaTec interior features a 4 Cylinder Engine with 228 HP at 5000 RPM*. VEHICLE REVIEWS Spacious interior with high-quality furnishings; smooth and strong four-cylinder engine with better-than-average fuel economy. -Edmunds.com. Great Gas Mileage: 32 MPG Hwy. SHOP WITH CONFIDENCE 24-Hour BMW Roadside Assistance, Comprehensive Inspection and Reconditioning, Unlimited Miles for 1-Year plus the balance of original new vehicle warranty (4-Year/50,000-Miles) WHO WE ARE Come test drive it at BMW of Bridgeport - Connecticut's largest volume Certified Pre-Owned BMW Center. What's different in Bridgeport? We go above and beyond in Hospitality, Service and Reconditioning our Pre-Owned BMW's. Experience it for yourself. 5 Time and the only Connecticut winner of BMW ''Center of Excellence''. Look us up on DealerRater.com *Prices are inclusive of all incentives. BMW Certified, CARFAX 1-Owner. Moonroof, Heated Seats, All Wheel Drive, Rear Air, Dual Zone A/C, CD Player, Turbo Charged Engine, BURL WALNUT WOOD TRIM, HEATED FRONT SEATS, DRIVER ASSISTANCE PACKAGE, Aluminum Wheels, PREMIUM PACKAGE. KEY FEATURES INCLUDE Alloy Wheels MP3 Player, Turbocharged, iPod/MP3 Input, Onboard Communications System, Steering Wheel Controls. OPTION PACKAGES PREMIUM PACKAGE Storage Package, Auto-Dimming Rearview Mirror, Universal Garage-Door Opener, Auto-Dimming Interior & Exterior Mirrors, Moonroof, Power Front Seats, Satellite Radio, Comfort Access Keyless Entry, Lumbar Support, DRIVER ASSISTANCE PACKAGE Rear View Camera, Park Distance Control, BURL WALNUT WOOD TRIM Pearl Gloss chrome highlight. BMW 320i xDrive with Alpine White exterior and Black SensaTec interior features a 4 Cylinder Engine with 180 HP at 5000 RPM*. EXPERTS ARE SAYING Edmunds.com's review says From its sporty driving character to its refined ride and cabin, the 2016 BMW 3 Series is exceptionally well rounded. It's a highly desirable compact luxury sport sedan, and one of our favorites in this class.. Great Gas Mileage: 35 MPG Hwy. PURCHASE WITH CONFIDENCE 24-Hour BMW Roadside Assistance, Comprehensive Inspection and Reconditioning, Unlimited Miles for 1-Year plus the balance of original new vehicle warranty (4-Year/50,000-Miles) MORE ABOUT US Come test drive it at BMW of Bridgeport - Connecticut's largest volume Certified Pre-Owned BMW Center. What's different in Bridgeport? We go above and beyond in Hospitality, Service and Reconditioning our Pre-Owned BMW's. Experience it for yourself. 5 Time and the only Connecticut winner of BMW ''Center of Excellence''. Look us up on DealerRater.com *Prices are inclusive of all incentives. BMW Certified, CARFAX 1-Owner. Nav System, Moonroof, Heated Seats, All Wheel Drive, Dual Zone A/C, CD Player, Rear Air, Turbo Charged Engine, DRIVER ASSISTANCE PACKAGE, COLD WEATHER PACKAGE, PREMIUM PACKAGE, Aluminum Wheels, TECHNOLOGY PACKAGE. KEY FEATURES INCLUDE Alloy Wheels Turbocharged, iPod/MP3 Input, Onboard Communications System, Steering Wheel Controls, Child Safety Locks. OPTION PACKAGES TECHNOLOGY PACKAGE Head-Up Display, Navigation System, Remote Services, Advanced Real-Time Traffic Information, BMW Online & BMW Apps, Instrument Cluster w/Extended Contents, PREMIUM PACKAGE LED Headlights, Satellite Radio, Comfort Access Keyless Entry, Lumbar Support, DRIVER ASSISTANCE PACKAGE Rear View Camera, Park Distance Control, COLD WEATHER PACKAGE Heated Front Seats, Heated Rear Seats, Heated Steering Wheel. BMW 328i xDrive with Imperial Blue Metallic exterior and Ven Beige Lthr/Oyster hglght interior features a 4 Cylinder Engine with 240 HP at 5000 RPM*. EXPERTS ARE SAYING From its sporty driving character to its refined ride and cabin, the 2016 BMW 3 Series is exceptionally well rounded. It's a highly desirable compact luxury sport sedan, and one of our favorites in this class. -Edmunds.com. Great Gas Mileage: 34 MPG Hwy. BUY WITH CONFIDENCE 24-Hour BMW Roadside Assistance, Comprehensive Inspection and Reconditioning, Unlimited Miles for 1-Year plus the balance of original new vehicle warranty (4-Year/50,000-Miles) MORE ABOUT US Come test drive it at BMW of Bridgeport - Connecticut's largest volume Certified Pre-Owned BMW Center. What's different in Bridgeport? We go above and beyond in Hospitality, Service and Reconditioning our Pre-Owned BMW's. Experience it for yourself. 5 Time and the only Connecticut winner of BMW ''Center of Excellence''. Look us up on DealerRater.com *Prices are inclusive of all incentives. BMW Certified, CARFAX 1-Owner. Heated Seats, Sunroof, CD Player, Rear Air, Dual Zone A/C, Keyless Start, HEATED FRONT SEATS, MOONROOF, Alloy Wheels, All Wheel Drive, Turbo. KEY FEATURES INCLUDE MP3 Player, Turbocharged, iPod/MP3 Input, Onboard Communications System, Keyless Entry. OPTION PACKAGES BMW 328i xDrive with Alpine White exterior and Black SensaTec interior features a 4 Cylinder Engine with 240 HP at 5000 RPM*. EXPERTS CONCLUDE From its sporty driving character to its refined ride and cabin, the 2016 BMW 3 Series is exceptionally well rounded. It's a highly desirable compact luxury sport sedan, and one of our favorites in this class. -Edmunds.com. Great Gas Mileage: 34 MPG Hwy. PURCHASE WITH CONFIDENCE 24-Hour BMW Roadside Assistance, Comprehensive Inspection and Reconditioning, Unlimited Miles for 1-Year plus the balance of original new vehicle warranty (4-Year/50,000-Miles) OUR OFFERINGS Come test drive it at BMW of Bridgeport - Connecticut's largest volume Certified Pre-Owned BMW Center. What's different in Bridgeport? We go above and beyond in Hospitality, Service and Reconditioning our Pre-Owned BMW's. Experience it for yourself. 5 Time and the only Connecticut winner of BMW ''Center of Excellence''. Look us up on DealerRater.com *Prices are inclusive of all incentives. CARFAX 1-Owner, BMW Certified. Navigation, Moonroof, Heated Seats, All Wheel Drive, Dual Zone A/C, CD Player, Rear Air, Turbo Charged, NAVIGATION SYSTEM, HEATED FRONT SEATS, DRIVER ASSISTANCE PACKAGE, Aluminum Wheels, PREMIUM PACKAGE. KEY FEATURES INCLUDE Alloy Wheels iPod/MP3 Input, Onboard Communications System, Steering Wheel Controls, Child Safety Locks. OPTION PACKAGES PREMIUM PACKAGE LED Headlights, Satellite Radio, Comfort Access Keyless Entry, Lumbar Support, NAVIGATION SYSTEM Remote Services, Advanced Real-Time Traffic Information, BMW Online & BMW Apps, Instrument Cluster w/Extended Contents, DRIVER ASSISTANCE PACKAGE Rear View Camera, Park Distance Control BMW 328i xDrive with Mineral Grey Metallic exterior and Black SensaTec interior features a 4 Cylinder Engine with 240 HP at 5000 RPM*. EXPERTS ARE SAYING Edmunds.com's review says From its sporty driving character to its refined ride and cabin, the 2016 BMW 3 Series is exceptionally well rounded. It's a highly desirable compact luxury sport sedan, and one of our favorites in this class.. Great Gas Mileage: 34 MPG Hwy. SHOP WITH CONFIDENCE 24-Hour BMW Roadside Assistance, Comprehensive Inspection and Reconditioning, Unlimited Miles for 1-Year plus the balance of original new vehicle warranty (4-Year/50,000-Miles) WHY BUY FROM US Come test drive it at BMW of Bridgeport - Connecticut's largest volume Certified Pre-Owned BMW Center. What's different in Bridgeport? We go above and beyond in Hospitality, Service and Reconditioning our Pre-Owned BMW's. Experience it for yourself. 5 Time and the only Connecticut winner of BMW ''Center of Excellence''. Look us up on DealerRater.com *Prices are inclusive of all incentives. BMW Certified, CARFAX 1-Owner. Heated Seats, NAV, Keyless Start, Alloy Wheels, Satellite Radio. KEY FEATURES INCLUDE Navigation, Heated Driver Seat, Heated Seats. Rear Spoiler, MP3 Player, iPod/MP3 Input, Onboard Communications System, Keyless Entry. BMW i3 with Platinum SIilver w/ BMW i Blue exterior and Deka Dark Cloth interior features a Electric Motor with 170 HP at 4800 RPM*. EXPERTS CONCLUDE Edmunds.com's review says You'll rarely engage the smooth, predictable-feeling brake pedal because substantial off-throttle regenerative braking handles most routine stops in a very engaging way.. BUY WITH CONFIDENCE 24-Hour BMW Roadside Assistance, Comprehensive Inspection and Reconditioning, Unlimited Miles for 1-Year plus the balance of original new vehicle warranty (4-Year/50,000-Miles) WHO WE ARE Come test drive it at BMW of Bridgeport - Connecticut's largest volume Certified Pre-Owned BMW Center. What's different in Bridgeport? We go above and beyond in Hospitality, Service and Reconditioning our Pre-Owned BMW's. Experience it for yourself. 5 Time and the only Connecticut winner of BMW ''Center of Excellence''. Look us up on DealerRater.com *Prices are inclusive of all incentives. BMW Certified, CARFAX 1-Owner. Sunroof, Heated Seats, All Wheel Drive, Power Liftgate, Dual Zone A/C, CD Player, Turbo, RUNFLAT TIRES , TRANSMISSION: 8-SPEED STEPTRONIC AUTO. COLD WEATHER PACKAGE, Alloy Wheels, PREMIUM PACKAGE. KEY FEATURES INCLUDE All Wheel Drive, Power Liftgate, CD Player, Dual Zone A/C Rear Spoiler, MP3 Player, Turbocharged, iPod/MP3 Input, Onboard Communications System. OPTION PACKAGES PREMIUM PACKAGE Universal Garage-Door Opener, Auto-Dimming Interior & Driver Exterior Mirrors, Auto-Dimming Rearview Mirror, LED Headlights w/Cornering Lights, Power-Folding Mirrors, Panoramic Moonroof, Satellite Radio, Ambiance Lighting, Comfort Access Keyless Entry, Lumbar Support, COLD WEATHER PACKAGE Heated Front Seats, TRANSMISSION: 8-SPEED STEPTRONIC AUTOMATIC sport and manual shift modes and Adaptive Transmission Control (ATC) (STD), RUNFLAT TIRES. BMW xDrive28i with Mineral Grey Metallic exterior and Black SensaTec interior features a 4 Cylinder Engine with 228 HP at 5000 RPM*. EXPERTS REPORT Spacious interior with high-quality furnishings; smooth and strong four-cylinder engine with better-than-average fuel economy. -Edmunds.com. Great Gas Mileage: 32 MPG Hwy. PURCHASE WITH CONFIDENCE 24-Hour BMW Roadside Assistance, Comprehensive Inspection and Reconditioning, Unlimited Miles for 1-Year plus the balance of original new vehicle warranty (4-Year/50,000-Miles) BUY FROM AN AWARD WINNING DEALER Come test drive it at BMW of Bridgeport - Connecticut's largest volume Certified Pre-Owned BMW Center. What's different in Bridgeport? We go above and beyond in Hospitality, Service and Reconditioning our Pre-Owned BMW's. Experience it for yourself. 5 Time and the only Connecticut winner of BMW ''Center of Excellence''. Look us up on DealerRater.com *Prices are inclusive of all incentives. BMW Certified, CARFAX 1-Owner. Heated Seats, Sunroof, All Wheel Drive, Rear Air, Dual Zone A/C, CD Player, DRIVER ASSISTANCE PACKAGE, COLD WEATHER PACKAGE, PREMIUM PACKAGE, Turbo Charged, Alloy Wheels. KEY FEATURES INCLUDE MP3 Player, iPod/MP3 Input, Onboard Communications System, Child Safety Locks. OPTION PACKAGES PREMIUM PACKAGE LED Headlights, Moonroof, Satellite Radio, Comfort Access Keyless Entry, Lumbar Support, DRIVER ASSISTANCE PACKAGE Rear View Camera, Park Distance Control, COLD WEATHER PACKAGE Heated Front Seats, Heated Rear Seats, Heated Steering Wheel. BMW 328i xDrive with Alpine White exterior and Leather Black/Red hghlgt/Stitc interior features a 4 Cylinder Engine with 240 HP at 5000 RPM*. EXPERTS REPORT From its sporty driving character to its refined ride and cabin, the 2016 BMW 3 Series is exceptionally well rounded. It's a highly desirable compact luxury sport sedan, and one of our favorites in this class. -Edmunds.com. Great Gas Mileage: 34 MPG Hwy. 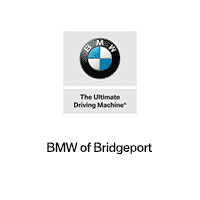 BUY WITH CONFIDENCE 24-Hour BMW Roadside Assistance, Comprehensive Inspection and Reconditioning, Unlimited Miles for 1-Year plus the balance of original new vehicle warranty (4-Year/50,000-Miles) WHY BUY FROM US Come test drive it at BMW of Bridgeport - Connecticut's largest volume Certified Pre-Owned BMW Center. What's different in Bridgeport? We go above and beyond in Hospitality, Service and Reconditioning our Pre-Owned BMW's. Experience it for yourself. 5 Time and the only Connecticut winner of BMW ''Center of Excellence''. Look us up on DealerRater.com *Prices are inclusive of all incentives. BMW Certified, CARFAX 1-Owner. Nav System, Moonroof, Heated Seats, All Wheel Drive, Rear Air, Smart Device Integration, Dual Zone A/C, CD Player, COLD WEATHER PACKAGE, PARK DISTANCE CONTROL, DARK WOOD TRIM, Turbo Charged Engine, Aluminum Wheels, PREMIUM PACKAGE. KEY FEATURES INCLUDE Navigation, Alloy Wheels MP3 Player, Sunroof, Turbocharged, iPod/MP3 Input, Onboard Communications System. OPTION PACKAGES PREMIUM PACKAGE Power Tailgate, Satellite Radio, Comfort Access Keyless Entry, COLD WEATHER PACKAGE Heated Front Seats, Heated Rear Seats, Heated Steering Wheel, Retractable Headlight Washers BMW 528i xDrive with Imperial Blue Metallic exterior and Venetian Beige/Black Dakota interior features a 4 Cylinder Engine with 240 HP at 5000 RPM*. EXPERTS RAVE The base front seats are some of the comfiest and most supportive found in any car, and the available multicontour seats are even better, providing a wide range of adjustments and sublime support for all driving scenarios. -Edmunds.com. Great Gas Mileage: 34 MPG Hwy. SHOP WITH CONFIDENCE 24-Hour BMW Roadside Assistance, Comprehensive Inspection and Reconditioning, Unlimited Miles for 1-Year plus the balance of original new vehicle warranty (4-Year/50,000-Miles) MORE ABOUT US Come test drive it at BMW of Bridgeport - Connecticut's largest volume Certified Pre-Owned BMW Center. What's different in Bridgeport? We go above and beyond in Hospitality, Service and Reconditioning our Pre-Owned BMW's. Experience it for yourself. 5 Time and the only Connecticut winner of BMW ''Center of Excellence''. Look us up on DealerRater.com *Prices are inclusive of all incentives. CARFAX 1-Owner, BMW Certified. Sunroof, Heated Seats, All Wheel Drive, Power Liftgate, Dual Zone A/C, CD Player, Turbo Charged, PANORAMIC MOONROOF , TRANSMISSION: 8-SPEED STEPTRONIC AUTO. POWER FRONT BUCKET SEATS, Alloy Wheels, HEATED FRONT SEATS. KEY FEATURES INCLUDE All Wheel Drive, Power Liftgate, CD Player, Dual Zone A/C. Rear Spoiler, MP3 Player, Turbocharged, iPod/MP3 Input, Onboard Communications System. OPTION PACKAGES PANORAMIC MOONROOF, TRANSMISSION: 8-SPEED STEPTRONIC AUTOMATIC (STD), POWER FRONT BUCKET SEATS 8-way power adjustable front seats w/2-way manual headrests (STD). BMW xDrive28i with Glacier Silver Metallic exterior and Black SensaTec interior features a 4 Cylinder Engine with 240 HP at 5000 RPM*. EXPERTS RAVE Edmunds.com's review says Room for front passengers is ample by every measure, while rear legroom is downright generous and pairs with a truly comfortable seat.. Great Gas Mileage: 28 MPG Hwy. BUY WITH CONFIDENCE 24-Hour BMW Roadside Assistance, Comprehensive Inspection and Reconditioning, Unlimited Miles for 1-Year plus the balance of original new vehicle warranty (4-Year/50,000-Miles) WHY BUY FROM US Come test drive it at BMW of Bridgeport - Connecticut's largest volume Certified Pre-Owned BMW Center. What's different in Bridgeport? We go above and beyond in Hospitality, Service and Reconditioning our Pre-Owned BMW's. Experience it for yourself. 5 Time and the only Connecticut winner of BMW ''Center of Excellence''. Look us up on DealerRater.com *Prices are inclusive of all incentives. BMW Certified, CARFAX 1-Owner. NAV, Sunroof, Heated Seats, Turbo, CD Player, Dual Zone A/C, Power Liftgate, All Wheel Drive, Alloy Wheels, FINE-WOOD 'FINELINE' TRIM W/PEARL CHR. RUNFLAT TIRES , TRANSMISSION: 8-SPEED STEPTRONIC AUTO. PREMIUM PACKAGE, COLD WEATHER PACKAGE, NAVIGATION BUSINESS. KEY FEATURES INCLUDE All Wheel Drive, Power Liftgate, CD Player, Alloy Wheels, Dual Zone A/C. Rear Spoiler, MP3 Player, Turbocharged, iPod/MP3 Input, Onboard Communications System. OPTION PACKAGES PREMIUM PACKAGE Universal Garage-Door Opener, Auto-Dimming Interior & Driver Exterior Mirrors, Auto-Dimming Rearview Mirror, LED Headlights w/Cornering Lights, Power-Folding Mirrors, Panoramic Moonroof, Satellite Radio, Ambiance Lighting, Comfort Access Keyless Entry, Lumbar Support, NAVIGATION BUSINESS Remote Services, Advanced Real-Time Traffic Information, BMW Connected App Compatibility, BMW Online & BMW Apps, COLD WEATHER PACKAGE Heated Front Seats, FINE-WOOD 'FINELINE' TRIM W/PEARL CHROME ACCENT, TRANSMISSION: 8-SPEED STEPTRONIC AUTOMATIC sport and manual shift modes and Adaptive Transmission Control (ATC) (STD), RUNFLAT TIRES. EXPERTS ARE SAYING Edmunds.com explains Spacious interior with high-quality furnishings; smooth and strong four-cylinder engine with better-than-average fuel economy.. Great Gas Mileage: 32 MPG Hwy. SHOP WITH CONFIDENCE 24-Hour BMW Roadside Assistance, Comprehensive Inspection and Reconditioning, Unlimited Miles for 1-Year plus the balance of original new vehicle warranty (4-Year/50,000-Miles) VISIT US TODAY Come test drive it at BMW of Bridgeport - Connecticut's largest volume Certified Pre-Owned BMW Center. What's different in Bridgeport? We go above and beyond in Hospitality, Service and Reconditioning our Pre-Owned BMW's. Experience it for yourself. 5 Time and the only Connecticut winner of BMW ''Center of Excellence''. Look us up on DealerRater.com *Prices are inclusive of all incentives. BMW Certified, CARFAX 1-Owner. NAV, Sunroof, Heated Seats, All Wheel Drive, Rear Air, Dual Zone A/C, CD Player, Power Liftgate, PREMIUM PACKAGE, DRIVER ASSISTANCE PACKAGE, COLD WEATHER PACKAGE, Turbo, Alloy Wheels, TECHNOLOGY PACKAGE. KEY FEATURES INCLUDE Turbocharged, iPod/MP3 Input, Onboard Communications System, Child Safety Locks. OPTION PACKAGES TECHNOLOGY PACKAGE Head-Up Display, Navigation System, Remote Services, Advanced Real-Time Traffic Information, BMW Online & BMW Apps, Instrument Cluster w/Extended Contents, PREMIUM PACKAGE Satellite Radio, Comfort Access Keyless Entry, Lumbar Support, COLD WEATHER PACKAGE Heated Front Seats, Heated Rear Seats, Heated Steering Wheel, Retractable Headlight Washers, DRIVER ASSISTANCE PACKAGE Rear View Camera, Park Distance Control. BMW 428i xDrive with Mineral Grey Metallic exterior and Black Dakota Leather interior features a 4 Cylinder Engine with 240 HP at 5000 RPM*. EXPERTS ARE SAYING Dynamic handling; powerful yet fuel-efficient engines; upscale interior with straightforward controls and spacious seating. -Edmunds.com. Great Gas Mileage: 34 MPG Hwy. PURCHASE WITH CONFIDENCE 24-Hour BMW Roadside Assistance, Comprehensive Inspection and Reconditioning, Unlimited Miles for 1-Year plus the balance of original new vehicle warranty (4-Year/50,000-Miles) BUY FROM AN AWARD WINNING DEALER Come test drive it at BMW of Bridgeport - Connecticut's largest volume Certified Pre-Owned BMW Center. What's different in Bridgeport? We go above and beyond in Hospitality, Service and Reconditioning our Pre-Owned BMW's. Experience it for yourself. 5 Time and the only Connecticut winner of BMW ''Center of Excellence''. Look us up on DealerRater.com *Prices are inclusive of all incentives.